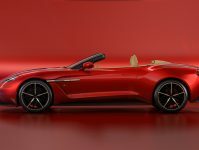 The long awaited successor to the Aston Martin Vantage has finally been revealed. The previous Vantage was released way back in 2005. It was introduced with a 4.3 litre V8 which was later increased to 4.7 litres in 2008 along with a new V12 engine taken from the DB9. 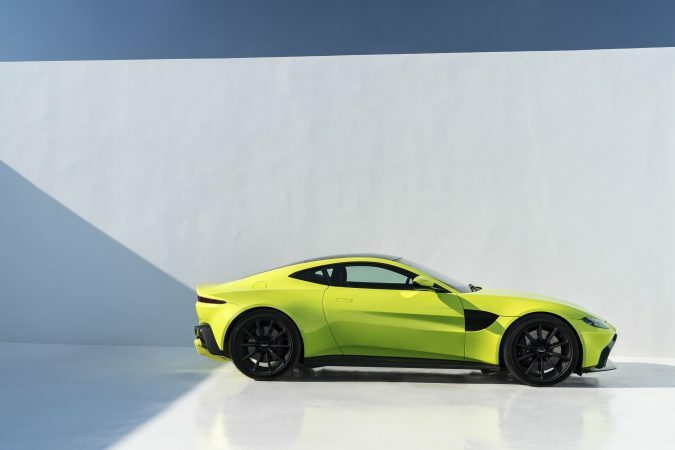 The new Vantage sees the addition of the new twin turbo 4.0 litre V8 engine developed by AMG. 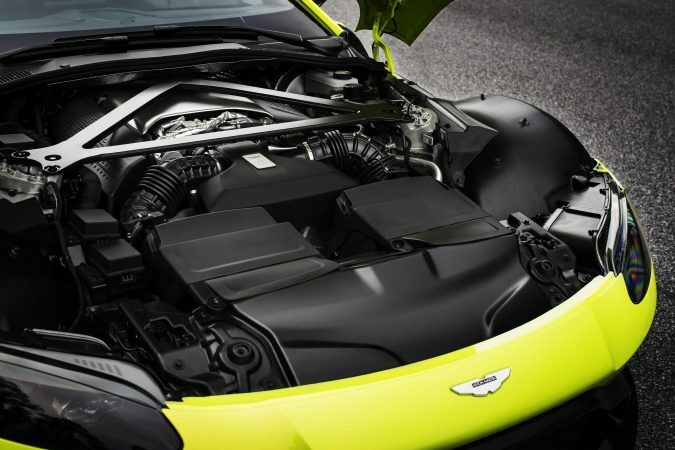 The 503BHP unit teams up with an 8-speed ZF automatic gearbox to power the new Aston Martin Vantage from 0-60 MPH in just 3.5 seconds with a top speed of 190MPH. 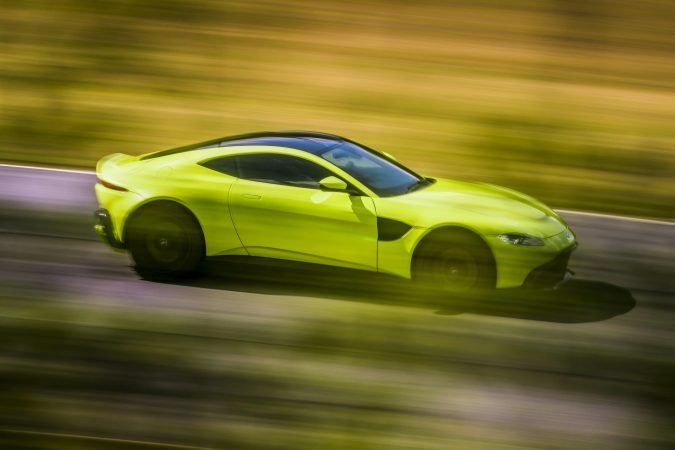 The new Vantage is strikingly similar to James Bond’s Aston Martin DB10, which never saw production and was made specifically for the movie Spectre. It boasts a low front end with short overhangs front and rear to increase agility and handling. 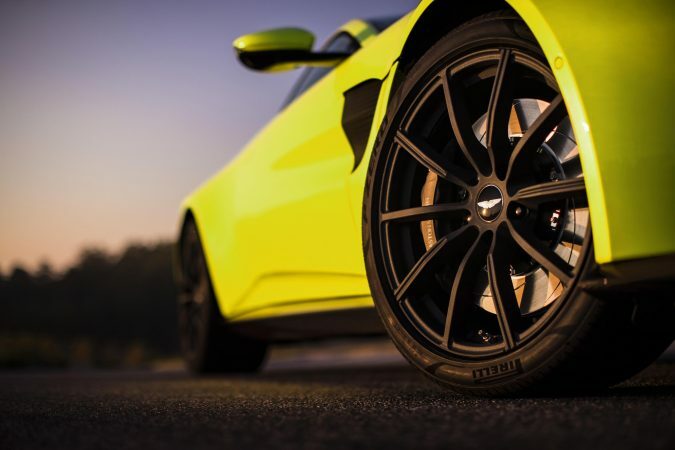 The aggressive front splitter channels air towards the rear diffuser, which is designed to reduce drag and turbulence caused by the rear wheels. 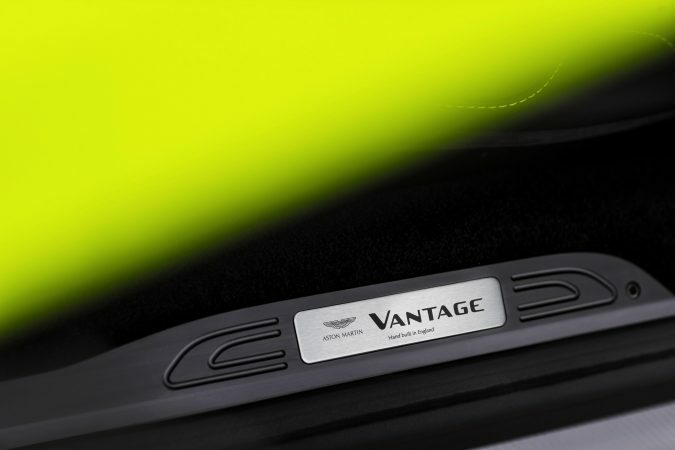 Aerodynamics are central to the Vantage’s design but styling is also important. 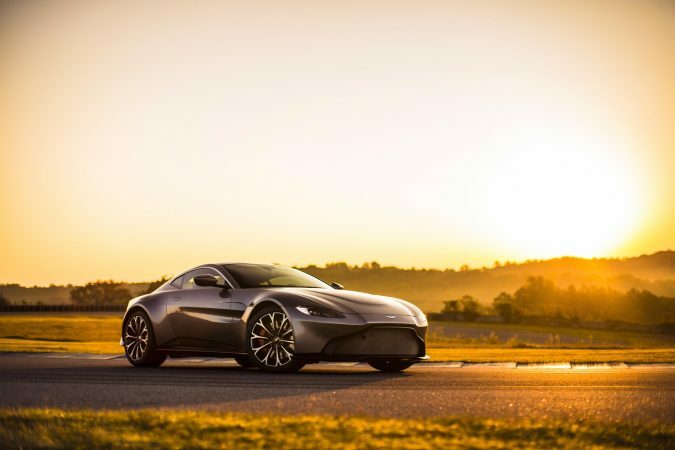 The previous Vantage was one of the most beautiful cars of the last decade, and the new model is just as sleek. 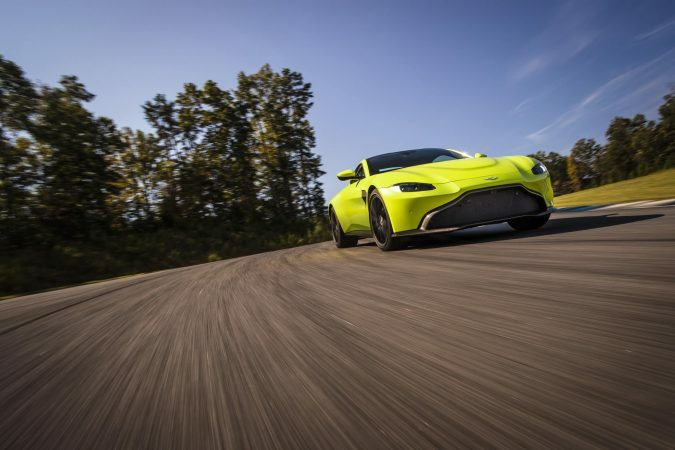 This is partially due to the new aero upgrades the Vantage has received, which not only aid performance but are easy on the eye. The aggressive rear diffuser, front splitter and subtle rear boot lip spoiler combine to form an attractive but versatile vehicle which is at home on the track or on the road. 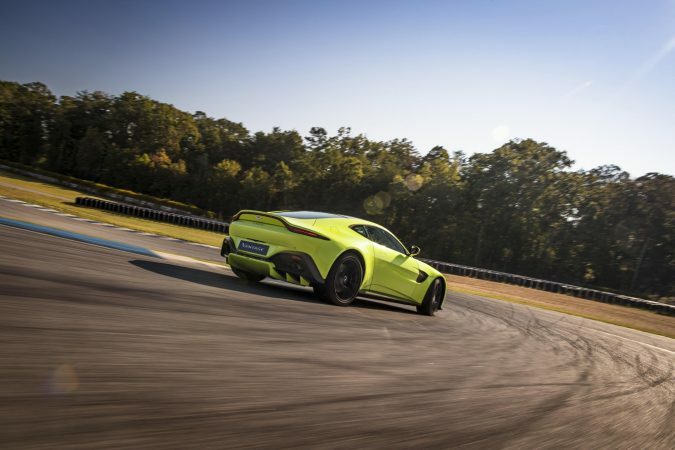 Aston Martin have been keen to ensure an exciting and dynamic performance from the new Vantage and have been determined to not only keep the weight down but to give the new Vantage a perfect 50:50 weight distribution. 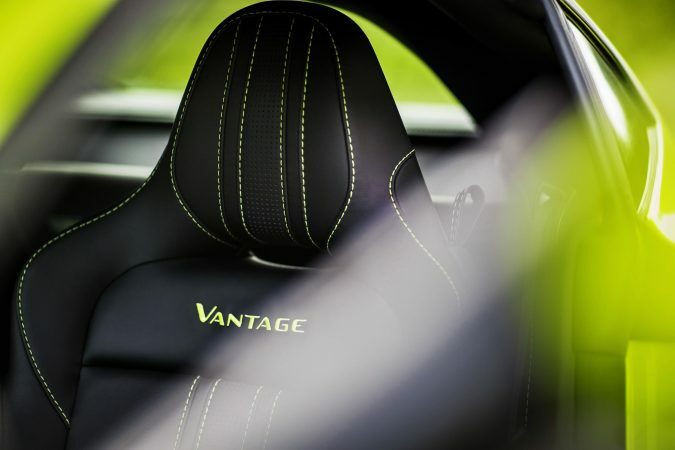 The Vantage’s new 1530kg dry weight and its 503BHP 4.0 litre twin turbo V8 engine means the car has the power to compete with models much further up the food chain. Its power to weight ratio of 328BHP per tonne puts it on a par with the likes of the Porsche 911 GT3, its biggest rival. 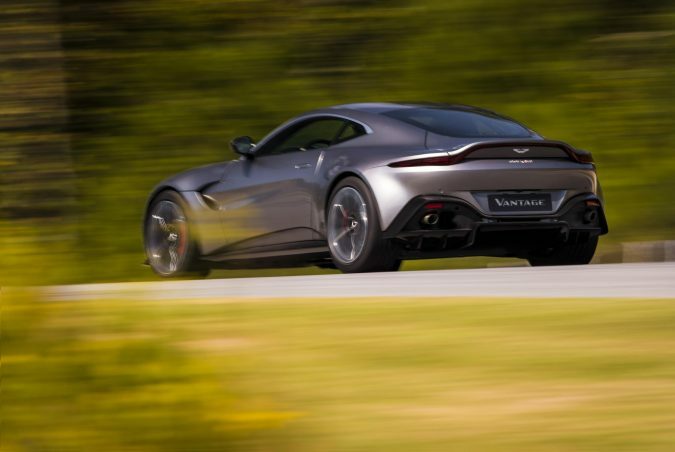 The new Aston Martin Vantage is a welcome replacement for its ageing predecessor. It has always been one of their best-loved models in both V8 and V12 configuration. 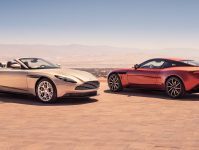 The new V8 Vantage will face tough competition from the likes of the 991 Porsche 911 GT3 and Mercedes AMG GTS but Aston Martin have never been ones to back down from a fight. 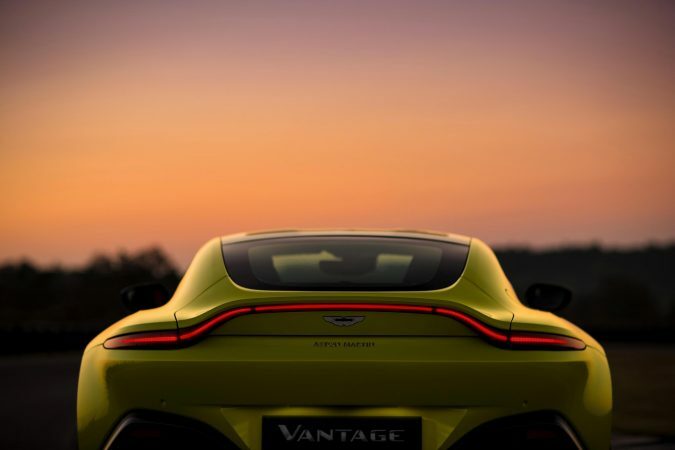 The new Vantage will go on sale in 2018 at a price of £120,000 with deliveries expected to begin in the summer. 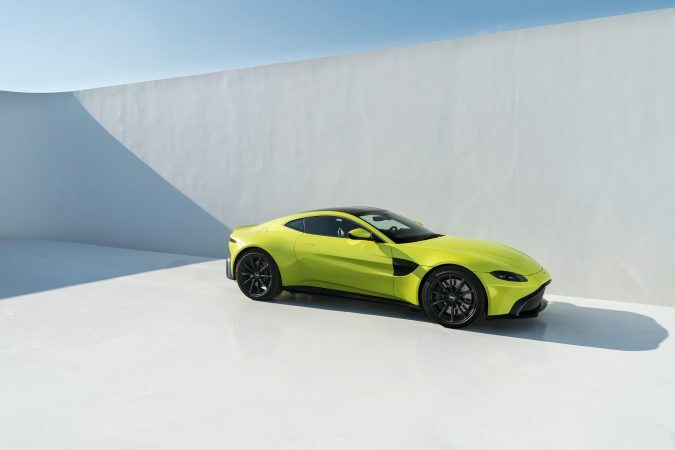 What do you think of the new Aston Martin Vantage? Please let us know your views in the comments section.